MovingVentures is honored to have Rob Wilks and Daniela Urbassek teaching Fluidity & Focus, a specialized Somatic Arts Educator’s training featuring Esalen Massage & Bodywork. Joining Rob and Daniela will be Ellen Watson who shares Vibrance Moving Meditation Practice, Breathwork, & Nada Yoga - The Yoga of Sound. 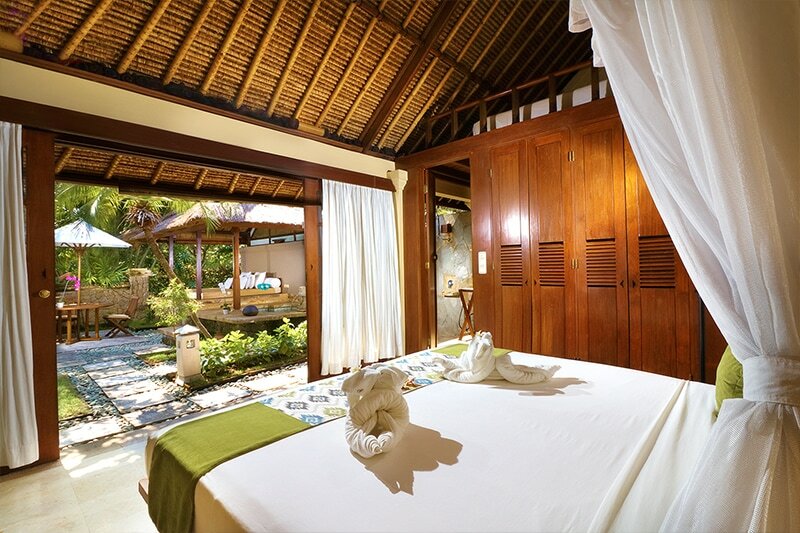 Susi Imati & Wayan Sukra, Mimpi Springs Spa staff offer aquatic bodywork classes. Fluidity & Focus is open to all somatic artists interested in upgrading their skill set. To all wanting to deepening their listening skills, allowing tissue to speak, to guide the hands and heart of the practitioner. We do ask that you have previous experience in a somatic art that includes touching the human body. Our approach is one that engages the entire Soma of the giver and receiver. As we engage the five physical senses, we open the door to our 6th, 7th, & 8th senses. Ours is a multi-sensory, multi-disciplinary approach to healing. 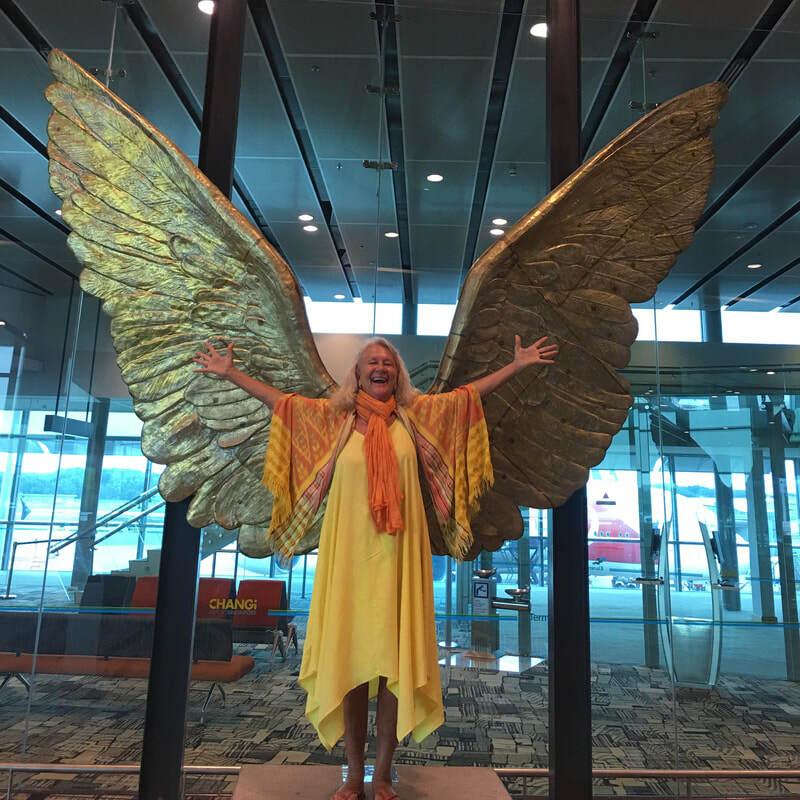 “I LOVE offering residential retreats and trainings at Mimpi, Menjangan. The hot springs, the light of a soft morning sunrise, bird song, stunning salmon sunsets, the ocean & lagoon, the pools, the 24/7 hot springs…Mimpi is our sanctuary. ​wrapped in the arms of Mother Nature’s embrace." Rob brings his 15 years of study, practice and teaching both Esalen® Massage & Deep Bodywork to the table. Rob will adjust the focus of his teaching according to group requests. Areas of possible focus: Shoulder Girdle, Rotator Cuff, Radius, Ulna, Forearm, wrist, hands, fingers, Lats, Traps, Lumbar, Sternum & Intercostal muscles. 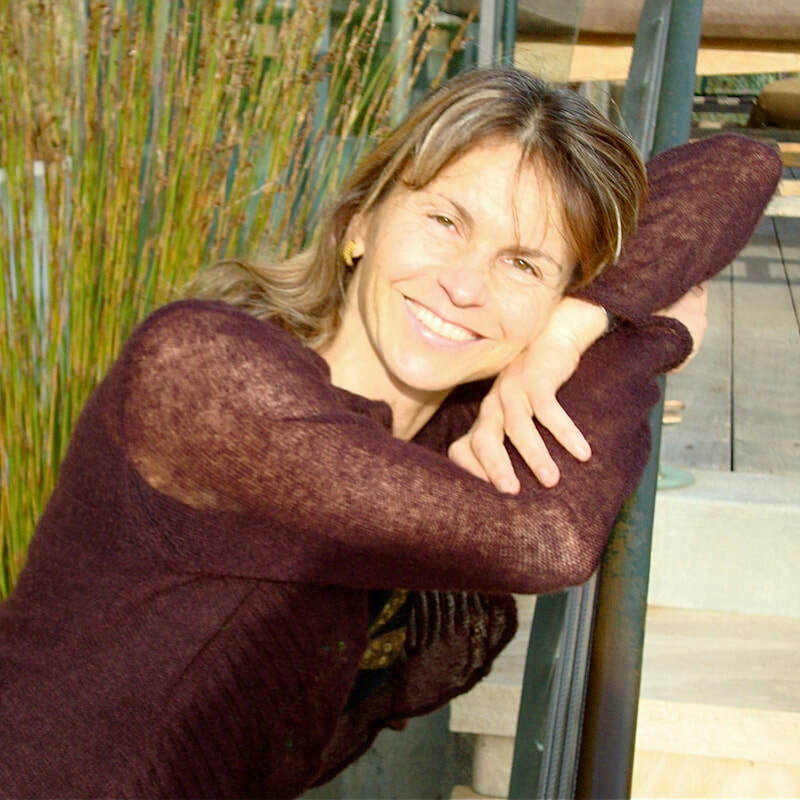 Daniela brings her 30 years of study, practice and teaching both Esalen® Massage & Bodywork, and Traditional Chinese Medicine to the Table. Daniela has also focused study in the art and science of the use of Essential Oils. Daniela is an E-RYT 500, Yoga Alliance teacher. Daniela will focus her teaching on the wants and needs of the group. Ellen shares her love and appreciation of Nada Yoga or The Yoga of Sound. Ellen recognized the power of sound during her 30 years of practicing massage & movement arts at Esalen, to the rhythms of the mighty Pacific, or to the rush of Hot Springs Creek….or in the silence of the back country. During Fluidity & Focus Ellen will share sounds for the 8 chakras, important mantras, healing songs & chants from various traditions. Vibrance Dance Meditation classes support & deepen learning at and on the table and in the water. In 2003 Ellen founded MovingVentures to share her teachings globally. 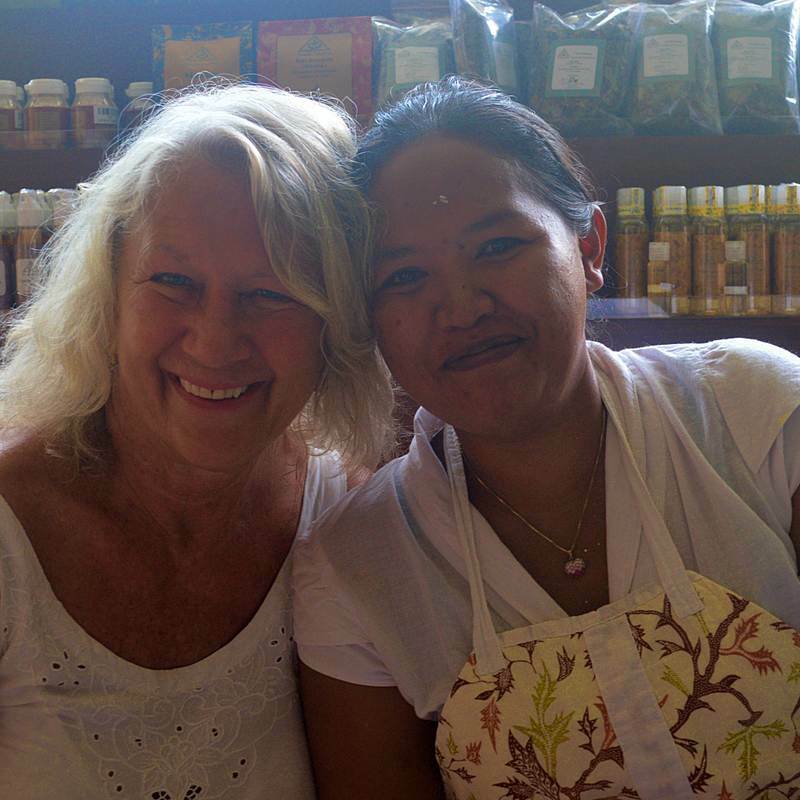 Susi & Sukra of the Mimpi Springs Spa have studied with us for many years to become expert massage therapists. They have also trained under Michael Hallock in Aquatic Bodywork and will share their knowledge and practice in the Mimpi Hot Spring Pools. Insurance: MV requires travel insurance for your journey to Bali. For more information please view Travel Info. Transportation: We do not include or organize flights. You may contact us to request private transportation to Mimpi at $75. Alternatively you can inquire about shared transportation. Shared cars will go from Seminyak and Ubud to Mimpi on arrival day with departure at 10am from a local meeting place. Shared transportation will cost $25 per person. Mimpi's patio rooms are home to most of our students. The rooms are spacious, with A/C, refrigerators, either queen/king or twin beds, telephone, lovely bathrooms, and are close to the communal hot springs pools, and the two large swimming pools. Mimpi is at the top of our favorite venues around the world. For full information about Mimpi resort, Click Below.